2University of California at Santa Barbara, Department of Chemical & Nuclear Engineering, Santa Barbara, California 93106. 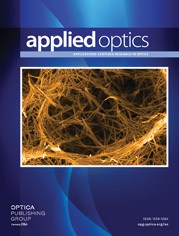 This issue of Applied Optics features twenty-two papers on the optical character of tissue, a topic of growing importance in the life sciences. The papers deal with theory and experiment and are contributed by a core of researchers active in the current development of this relatively new field. The complete description of the tissue’s optical properties is fraught with problems due to the extraordinary nature of this difficult, varied, turbid, highly scattering medium. The solution of these optical problems promises important dividends in practical areas, such as cancer treatment and diagnosis. Do different turbid media with matched bulk optical properties also exhibit similar polarization properties?